Two of the reports key sections, ‘Rethinking mining strategy’ and ‘Driving sustainable shared social outcomes’ emphasised that the resources industry had not yet sufficiently broadened its strategic outlook to take a range of critical industry shifts into account. “Consumers, governments and communities are becoming more vocal and irrevocably altering industry dynamics,” the report states. WA Mining Club President, Kirsty Danby agrees, reinforcing that corporate social responsibility initiatives and stakeholder engagement had become increasingly significant. “Shareholders are looking to invest in companies that they can trust and will do the right thing by communities, and consumers will purchase from those they feel share the same environment and societal values as them,” Kirsty said. “Government and communities have become more vocal over the years, with both having the power to delay or even shut down projects if their needs are not met. CEO of Australia-Africa Minerals & Energy Group (AAMEG) William Whitham said the rapid change in community expectations had flowed onto shareholders, including the larger funds. “This is driven by RBA statements, new ASX corporate governance guidelines and perhaps most importantly the recent publishing of the Haynes report after the royal commission into misconduct by financial institutions which focuses on company culture,” Whitham said. 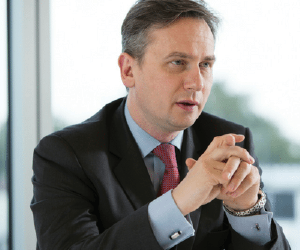 CEO of Rio Tinto, Jean Sebastien-Jacques said at the International Mining and Resources Conference late last year that the resources industry needed to redefine the way it engaged with communities, customers, suppliers and governments. Jacques stated the best way forward was to accept mining as an absolutely necessary and valuable activity but hold all of the industry to account for making sure it operates in a responsible way with care for the environment, people and society, while remaining economically viable. K2fly’s Director of Operations, Navin Nirmalrajan, suggests that mining companies could start by managing stakeholder communication across each project, stating that the industry could adopt a digital focus to assist effectively manage stakeholder engagement. “Traditional customer relationship management systems (CRM), document repositories and financial systems are no longer equipped to handle social engagement and legislative compliance requirements. “Digital solutions need to ensure every single obligation is tracked and fulfilled with complete reporting for accountability and auditing processes,” Nirmalrajan said. Nirmalrajan said K2fly’s digital data management platform, Infoscope, was a solution for resource companies to take a holistic view of their varied stakeholders across the entire mine life. It can also track stakeholder sentiment across groups, individuals and time allowing companies to proactively engage and respond to stakeholder needs.